Stock market news, June 20, 2014: The Dow Jones today (Friday) will open after a 0.09% gain on Thursday, while the S&P 500 will seek its 22nd record high so far in 2014. The Nasdaq kicks off after shedding 0.08% yesterday. Thanks, but No Deal: British drug manufacturer Shire Plc. (Nasdaq ADR: SHPG) rejected a $46.35 billion bid from rival AbbVie Inc. (Nasdaq: ABBV). The New York Times reported that Shire's board rejected the proposal because the massive bid "fundamentally undervalued the company and its prospects." As M&A activity continues across the sector, investors shouldn't be surprised to see Shire hike its bid up in the coming weeks. 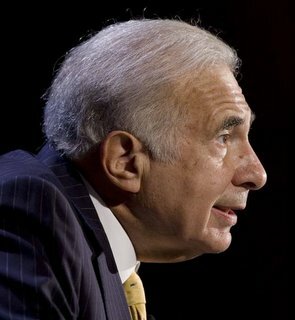 Activist Intentions: Activist investor Carl Icahn is pushing executives at Family Dollar Stores Inc. (NYSE: FDO) to put the company up for sale. Icahn, who owns 9.4% of the company, has complained that the company has "consistently underperformed" against rivals like Dollar Tree Inc. (Nasdaq: DLTR) and Dollar General Corp. (NYSE: DG). With news of Icahn's recent letter to the company board insisting on its sale, shares of Family Dollar are up more than 2% in pre-market trading. It's Electric: On Thursday, Harley-Davidson Inc. (NYSE: HOG) released plans for the company's first electric motorcycle. Known across the company as Project LiveWire, reports indicate that the motorcycle company is in early development stages. However, HOG is planning to unveil a prototype by the end of June. Who Can You Trust: American confidence in leadership and sources of information struck an all-time low this week. According to a Gallup poll, just 7% of Americans now report having "a great deal" or "quite a lot" of confidence in Congress. In another Gallup poll, only 18% of Americans express either a "great deal" or "quite a lot" of confidence in news organizations. Meanwhile, just 41% of Americans approve of U.S. President Barack Obama's leadership, the lowest mark of his presidency, according to a Wall Street Journal/NBC News poll.